Imagine if you had a six-foot tall monster-like pal to help you through the rough times when you were a kid! Willy (Matthew Knight) is terrified about moving into the family's new house. He's convinced it's filled with evil space aliens out to get him. 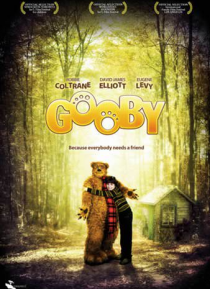 In response to his longing for someone to save him, Gooby (voiced by Robbie Coltrane) comes to life as a big, lovable, scruffy creature who quite p… ossibly may be more frightened of the world than Willy. The two new pals embark on hair-raising adventures and learn about courage and the power of friendship all the while with Eugene Levy on their trail. In the end, Gooby fulfills Willy's wish by bringing Willy and his dad (David James Elliott) together in a heart-warming and exciting climax.